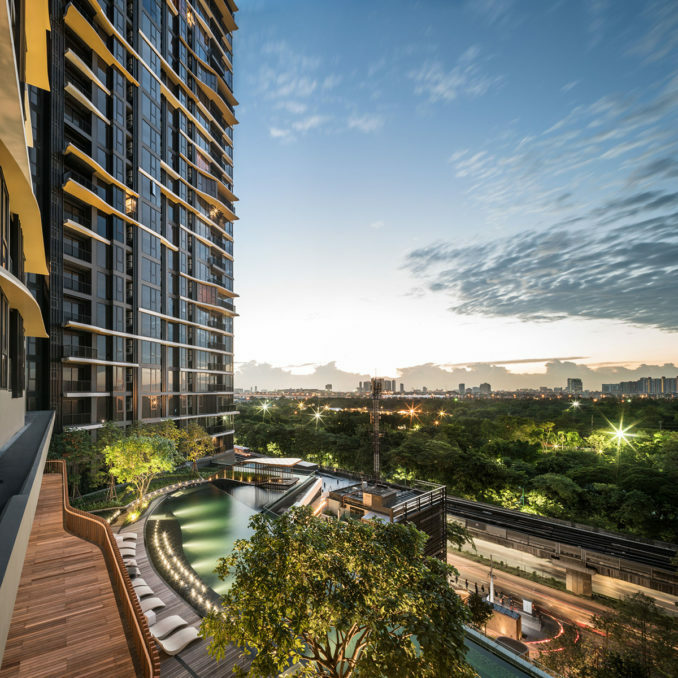 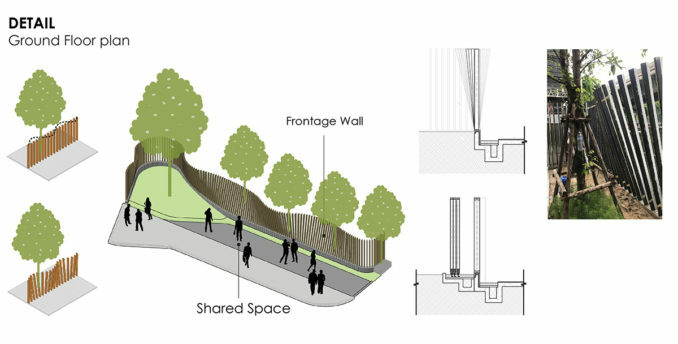 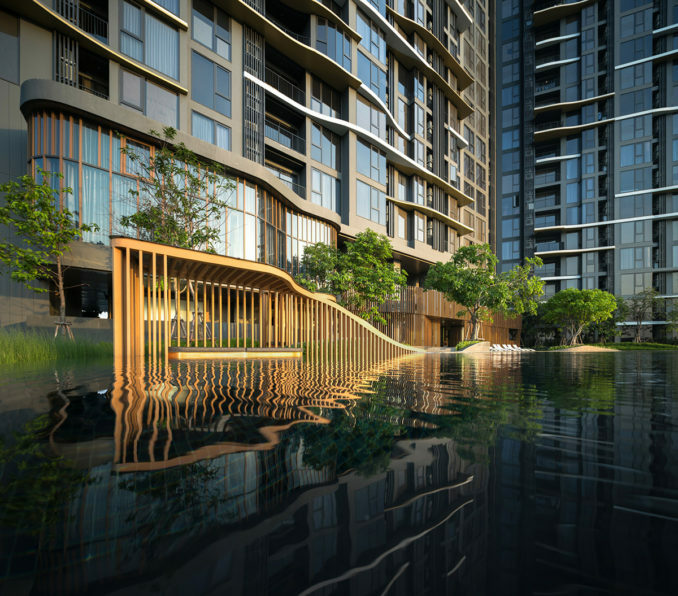 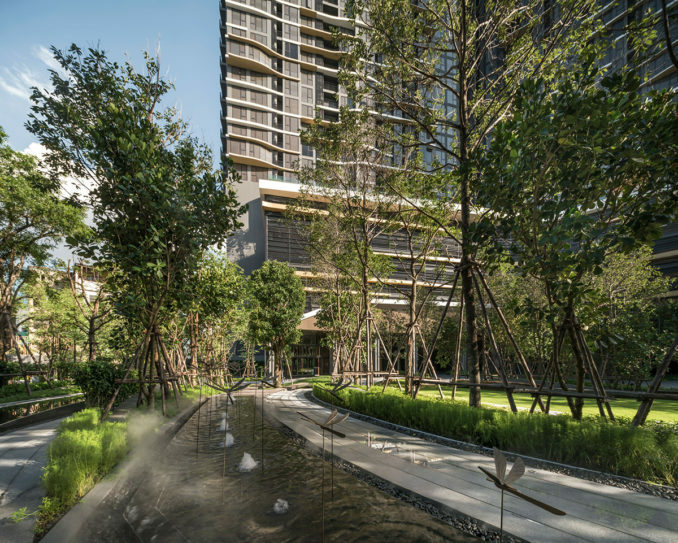 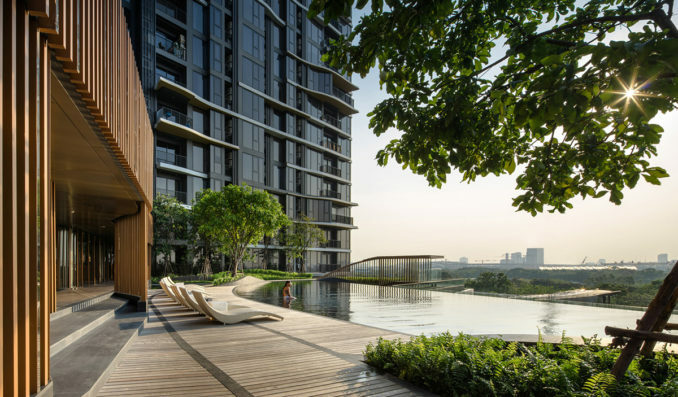 The Line Condominium, therefore, represents the idea of ‘travelling’ to different natural destinations by using design elements such as flowing pathways to mimic railway tracks and creating landforms. 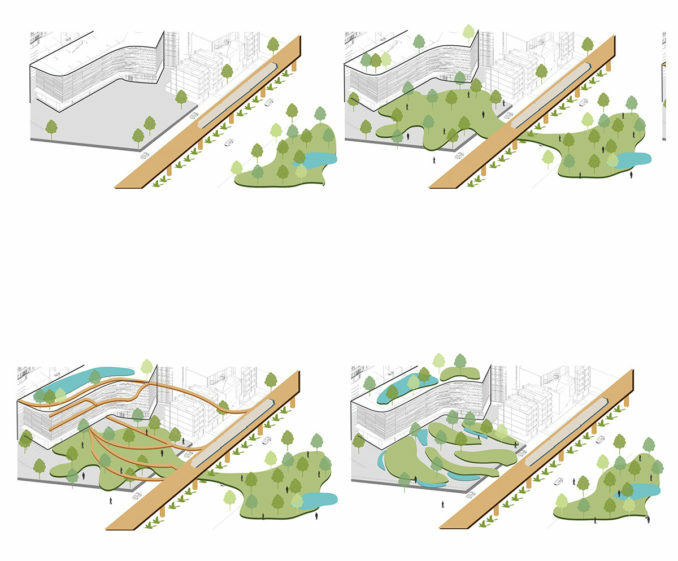 There are altogether 4 zones depicting the concept which are: The Ground Line, The Water Line, The Cloud Line and the Park line with each has its own unique feature. 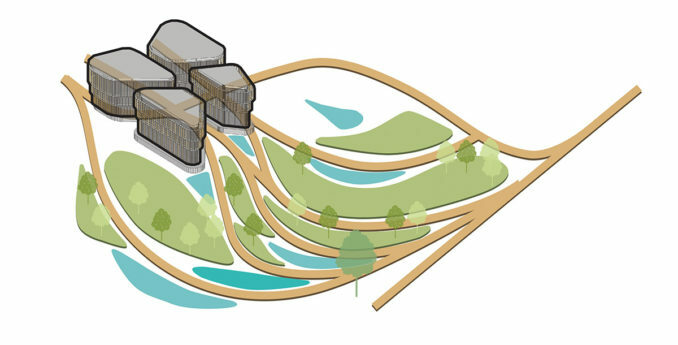 The rice field route and the floral route. 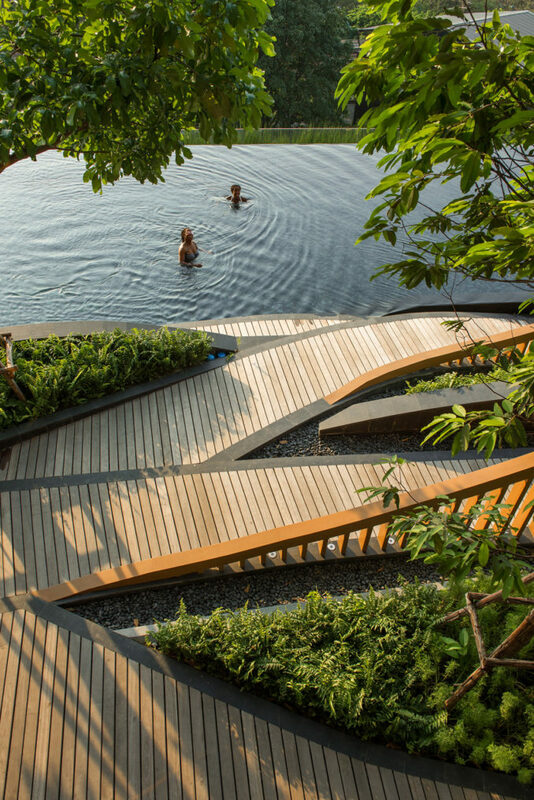 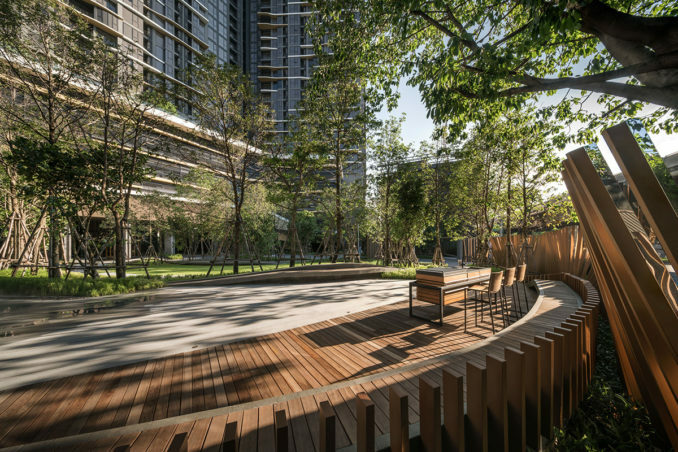 The intention of the designer is to create an experience of a railway journey through the different natural landscape of Thailand when walking through these routes with the insertion of activities such as jogging, library pavilion, playground and BBQ terrace. 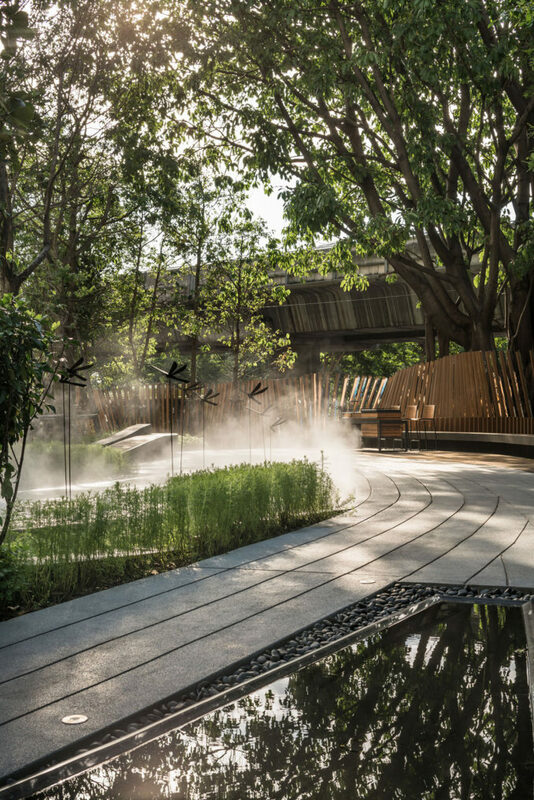 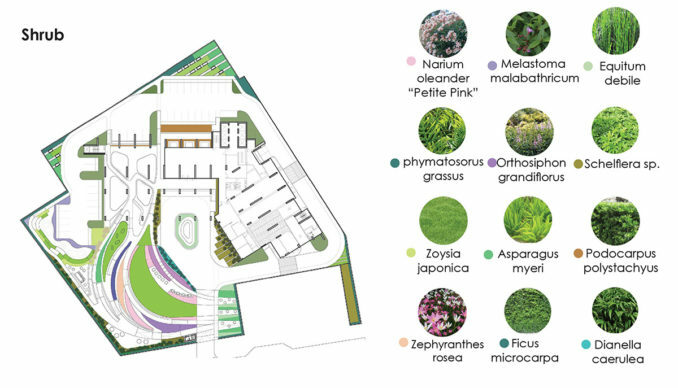 The introduction of varying types of plantations from large trees to low lying shrubs and bushes are made here to enhance the atmospheric condition of the different natural landscapes. 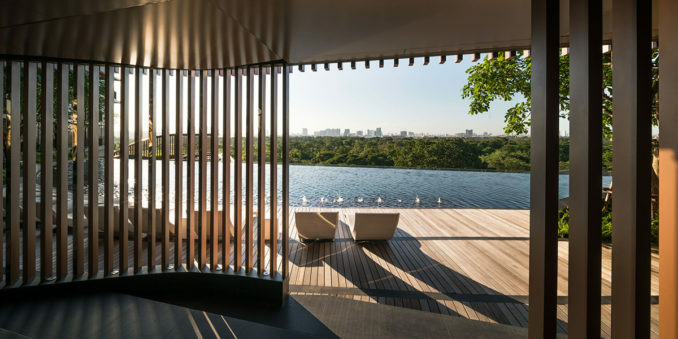 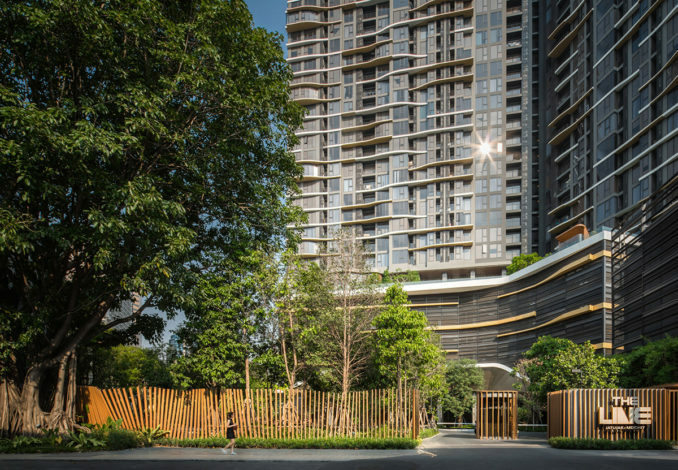 The main feature of The Ground Line is the wooden curved element wall situated at the entrance to the project, representing the mountainous landscape of Thailand. 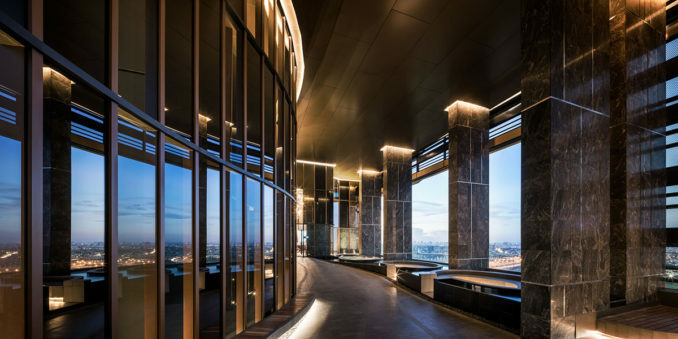 The 41st floor of the project is the zone of the cloud line. 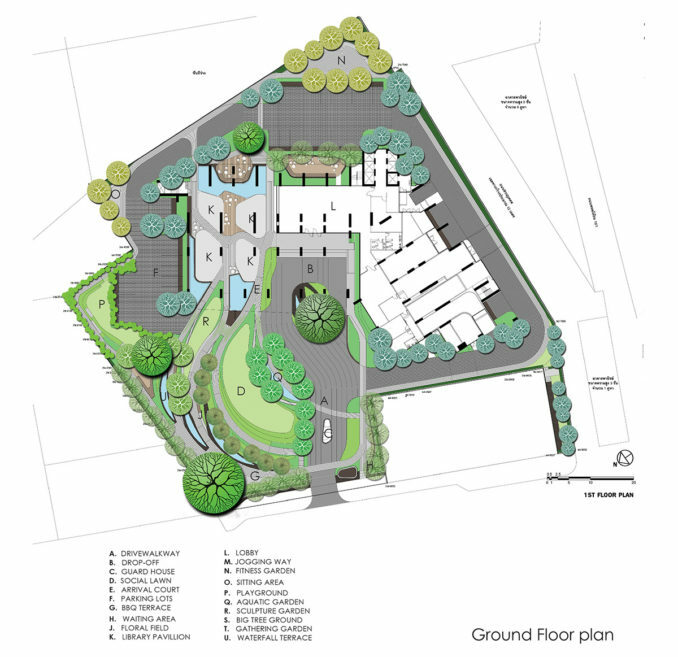 The intention of this zone is to create a lounge/party space which is functional both day and night. 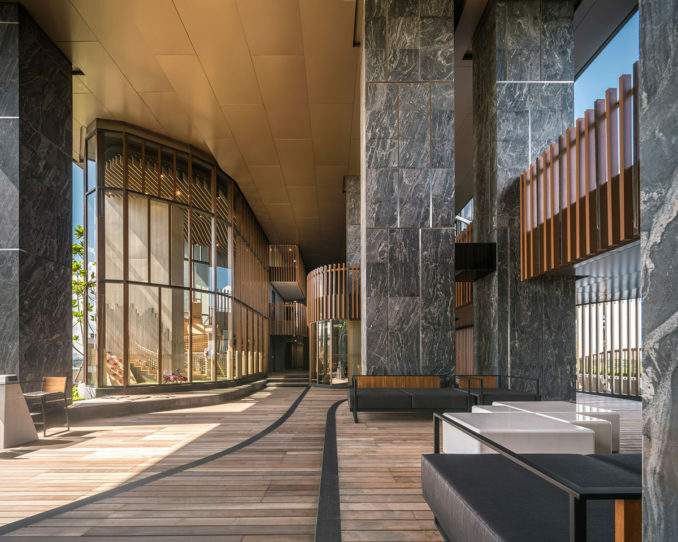 The main feature of the ‘Cloud Terrace’ is 2 sunken seating areas within the pool and a slanted 6 metre high Aluminum/Glass partition screen in between the pool deck and the private lounging rooms.